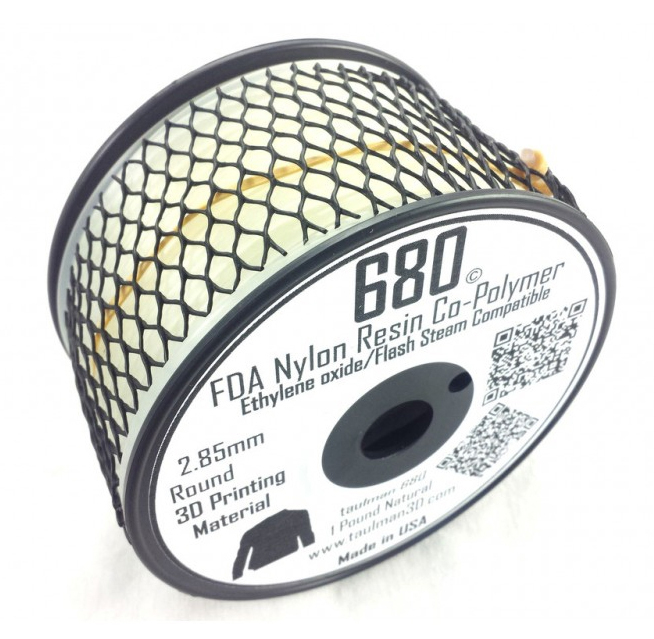 Nylon 680 is an innovative new nylon-based material for 3D printing with Fused Filament Fabrication (FFF). 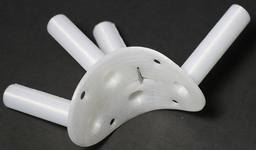 This filament has been developed for use in a variety of areas and industries. This filament is used in medicine, dental technology, food processing and robotics. Compatible with sterilization processes, FDA-approved for indirect food contact, Nylon 680 is designed to provide superior strength and physical properties compared to consumables currently on the market. The material properties of 680 are highly appreciated by both industry and hobbyists. Sterilization is important for researchers because it removes all fungi, bacteria and other microbes that can be harmful to test conditions. 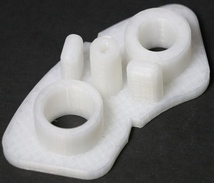 Compatibility with sterilization processes is a rare material property in the 3D printing industry and is a unique property of Nylon 680. Dentists in the European Union are currently testing this material for use in their practices. It is currently undergoing a certification test for EU dental CE marking. Nylon 680 filament can thus be used commercially in dentistry. Nylon 680 is approved for storage and handling of food. It can be used to make tableware, cutlery and decorations. It withstands an alcohol content of less than 8%. The material is also dishwasher safe. "INDIRECT FOOD ADDITIVES" Subpart B - POLYMERS - Subpart B - Substances for use as basic components of single and repeated use food contact surfaces. Nylon 680 is vacuum-sealed and supplied with a serial / batch number for traceability. This way you can be sure that your filament has the characteristics mentioned above. Due to its unique properties, Nylon 680 is well suited for use in veterinary medicine, including animal impression taking and the development of customized prostheses. 3D printed parts with nylon 680 were independently tested. They have been shown to be superior to other commercially available FFF 3D printing materials and even to injection molded parts with PLA or ABS. In laboratory tests, 3D-printed samples of Nylon 680 achieved an average tensile modulus load of 28.634 psi (197.42 MPa), compared to a tensile modulus of 27,141 psi (187.13 MPa) for Nylon 645. With an opacity of approximately 20%, Nylon 680 is significantly more transparent than Nylon 645, an important requirement for the industry as it supports non-destructive evaluation and allows the user to confirm the correct manufacture of his part. 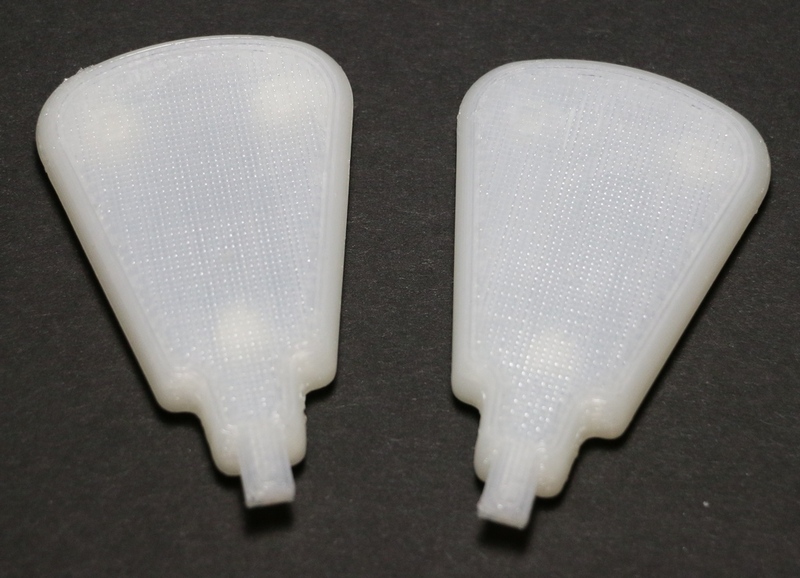 Nylon 680 has very low material shrinkage, allowing 3D printed parts with low tolerances. This means that users who create functional parts with a specific size requirement can be sure that Nylon 680 is up to the task. Nylon 680 also retains the well-known nylon smoothness required by hospitals and industry. 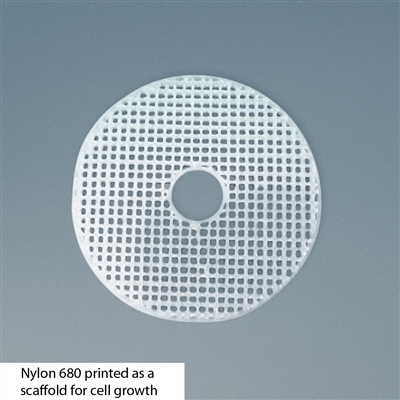 Nylon 680 will also pave the way for 3D printing in robotics. The robotics industry is currently developing new motors specifically designed to withstand high torques with a minimum end-to-end shaft length. Motors with such designs will be the standard for articulated joints and require a non-standard gear, hubs and mating flanges. Nylon 680 is a suitable material to meet the above requirements as it is a material with high strength and proven low friction surface properties. Nylon 680 can be used for 3D printing of large parts required for the creation of drones and related robotic applications. 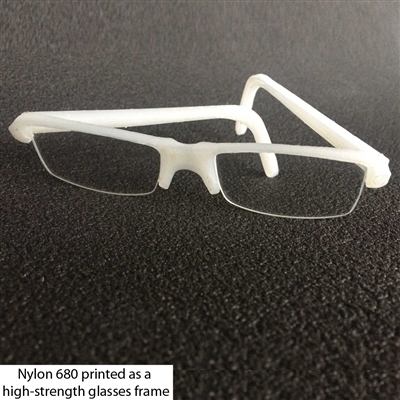 In addition, Nylon 680 can be used for 3D printing of a wide range of functional items, including: Glasses and other outerwear, portable equipment, art, sports equipment, durable custom parts needed for construction projects, and more! Taulman nylon filaments are designed to minimize problems caused by moisture. Nevertheless, nylon materials still absorb moisture. This can affect processability if the materials are not stored correctly. Fortunately, moisture absorption is completely reversible. What can you do if your material is in a damp environment and has absorbed moisture? As mentioned above, the absorption of moisture is completely reversible. Drying nylon materials before use for 3D printing removes almost all water molecules. You can use a hair dryer or some desiccant packs. Even if Taulman nylon filaments have been immersed in water for weeks, the process of water absorption can still be completely reversed. So, no worries and 3D printing on! Color: Subtle translucent shell white when 3D printed solid - Can be dyed with acid-based colors. Recommended print bed surface: The glass is heated to 45 ° C with a thin layer of PVA. Buy Taulman Nylon 680 3D printing filament for medical, dental, food and robotics applications.